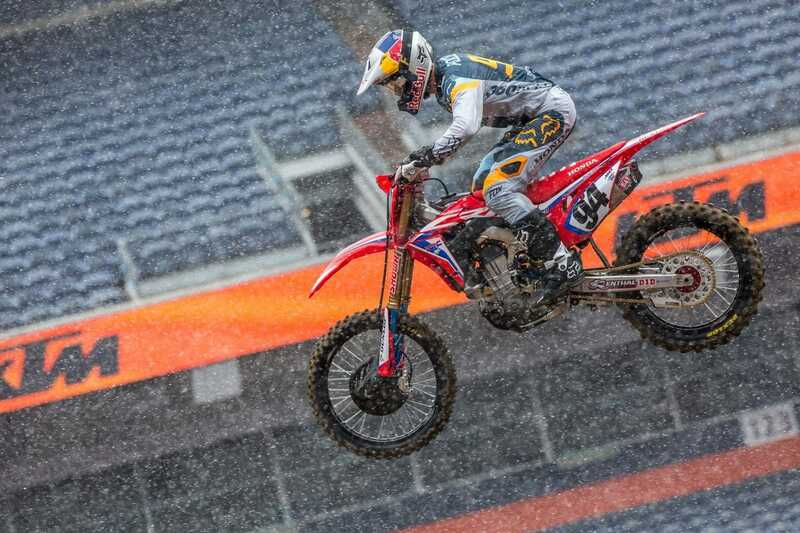 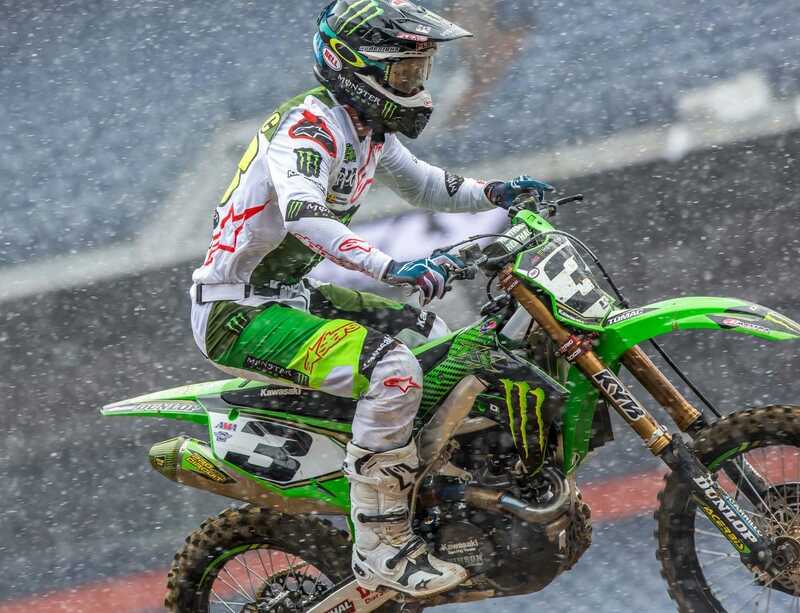 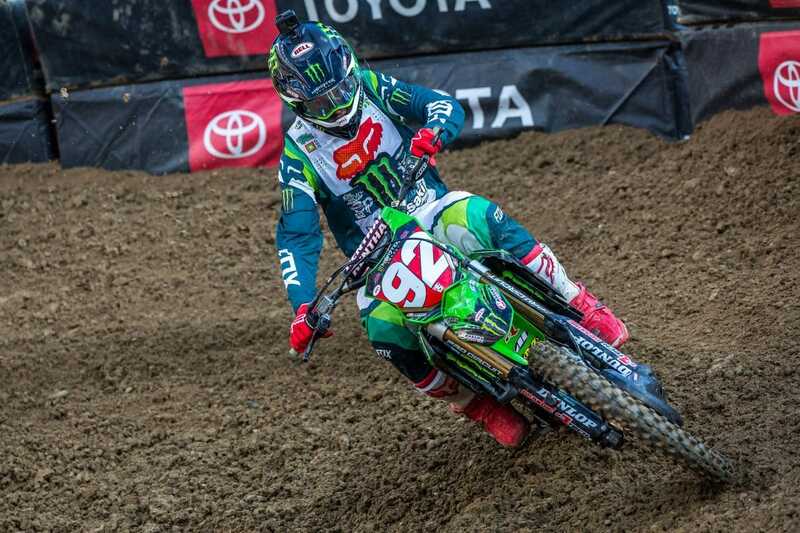 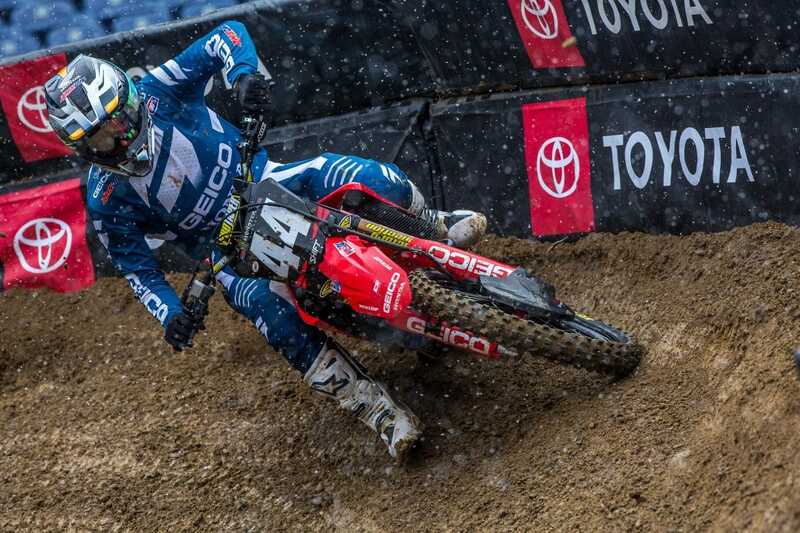 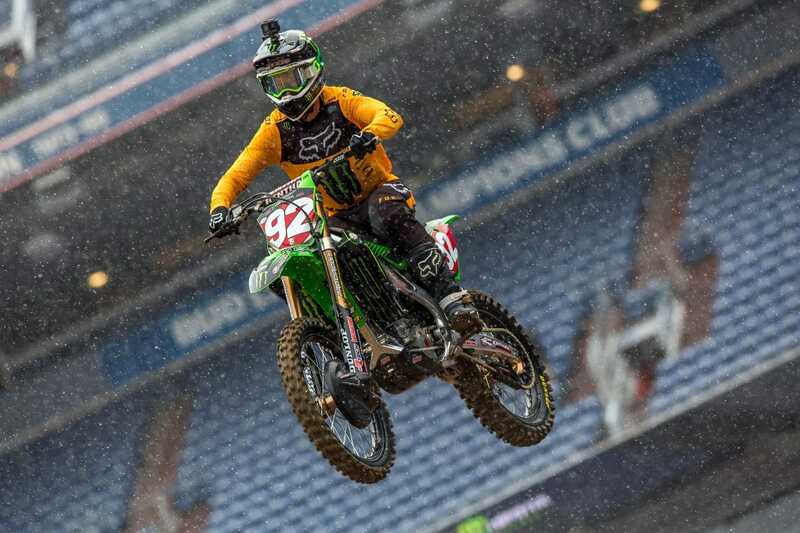 Eli Tomac in the snow during qualifying. 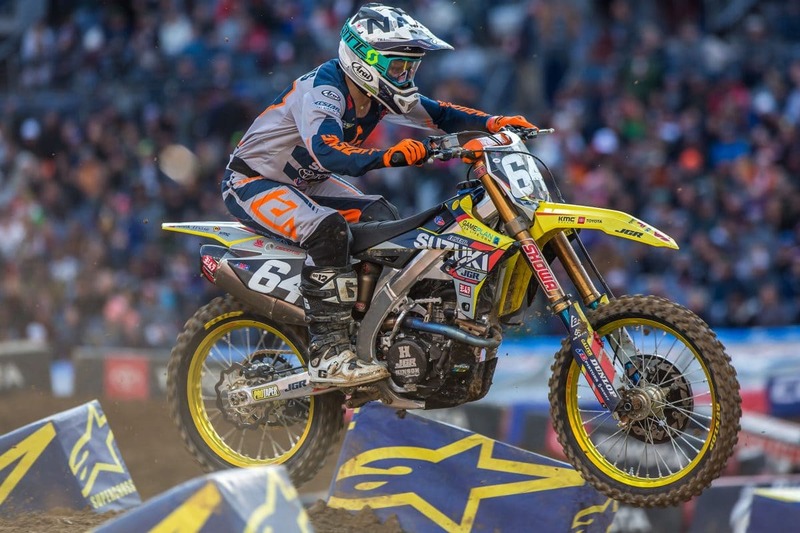 JGR Suzuki Rider Enzo Lopes ready for take off . 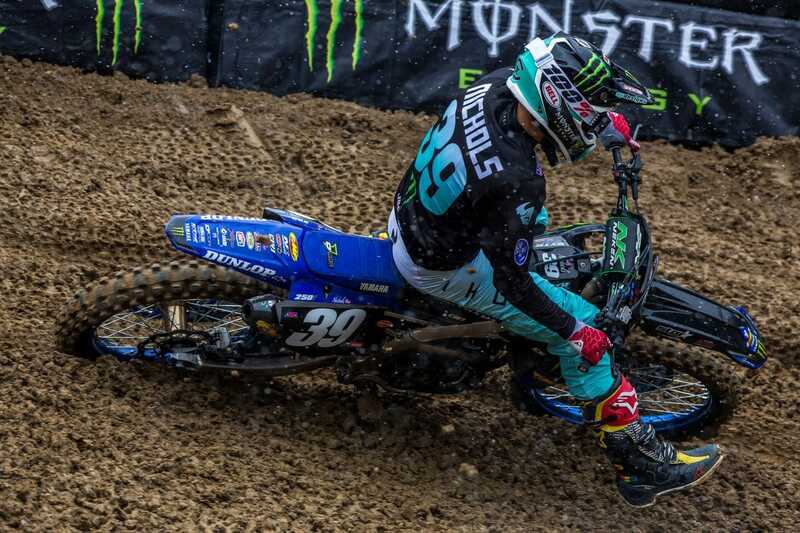 Colt Nichols was looking extremely fast in practice. 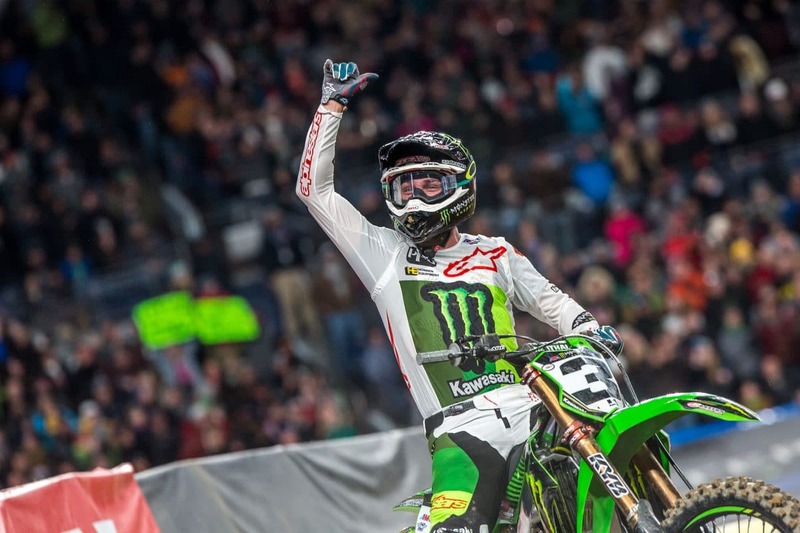 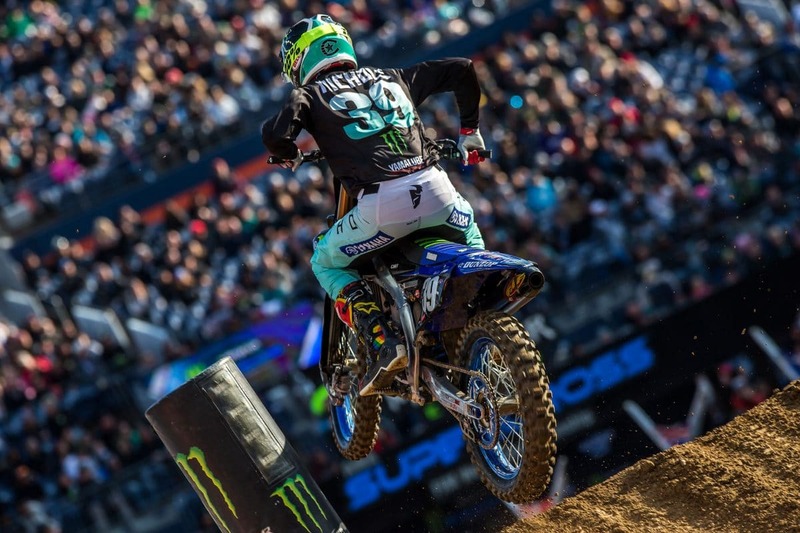 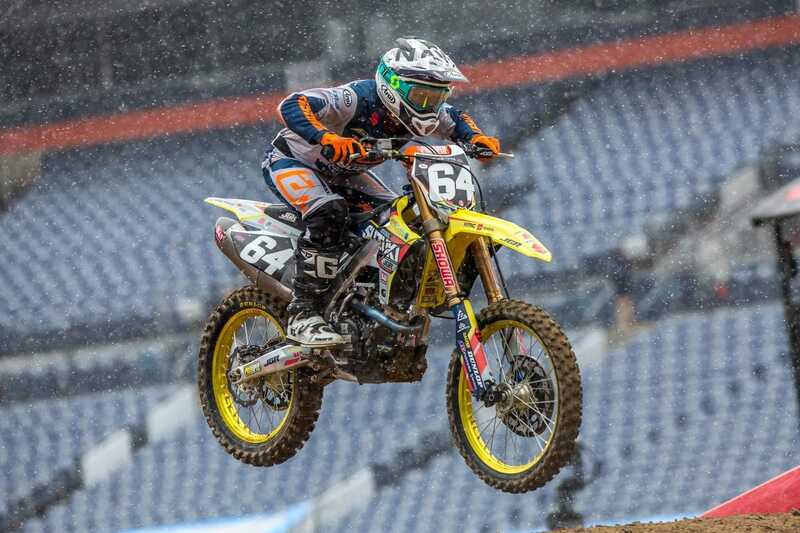 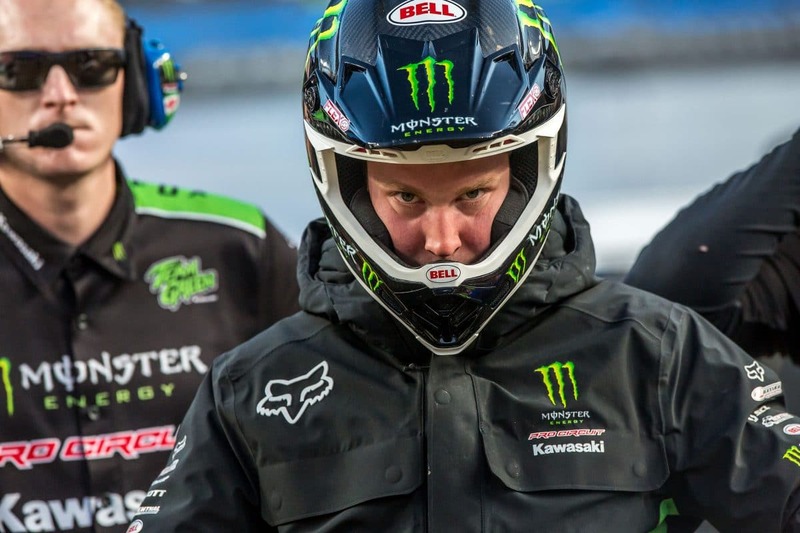 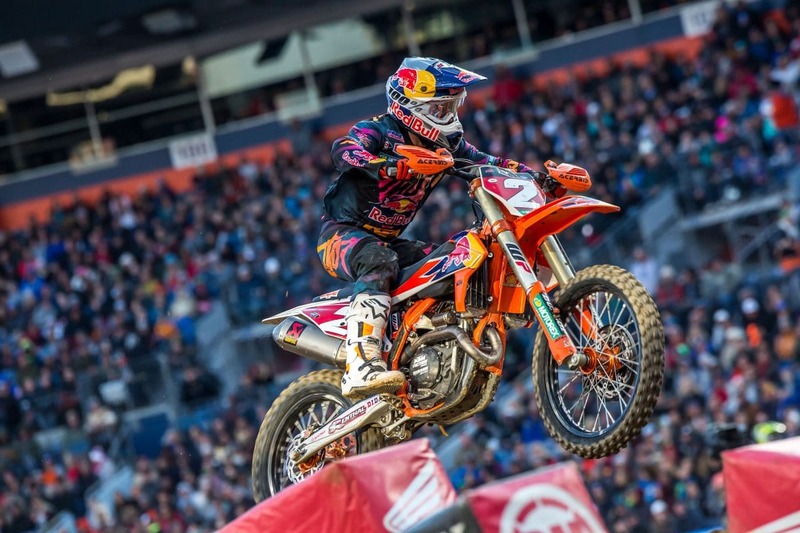 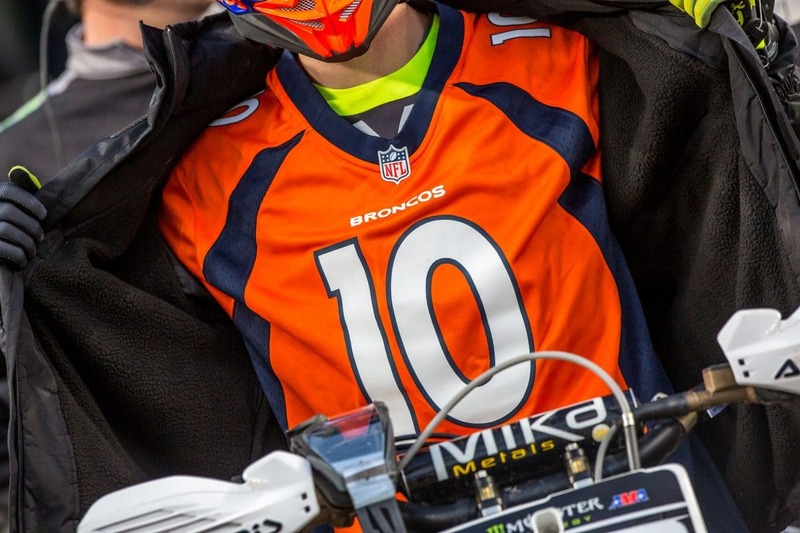 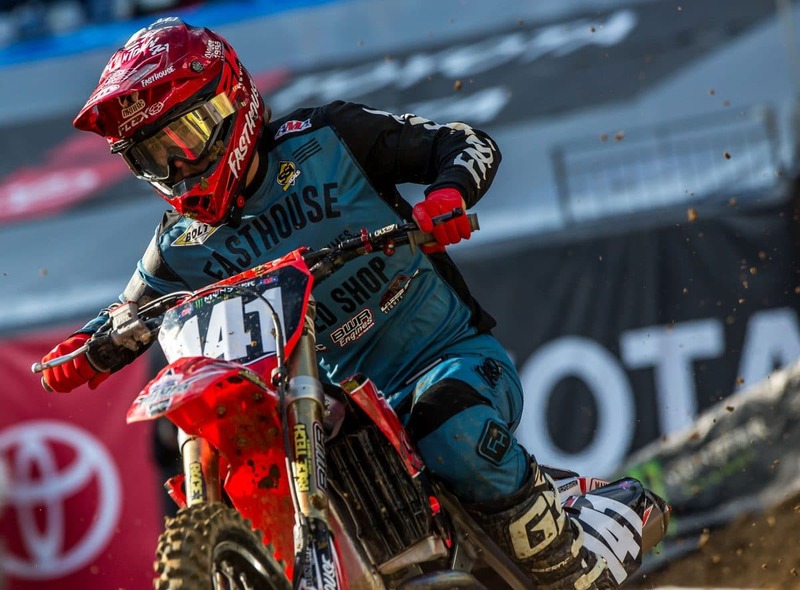 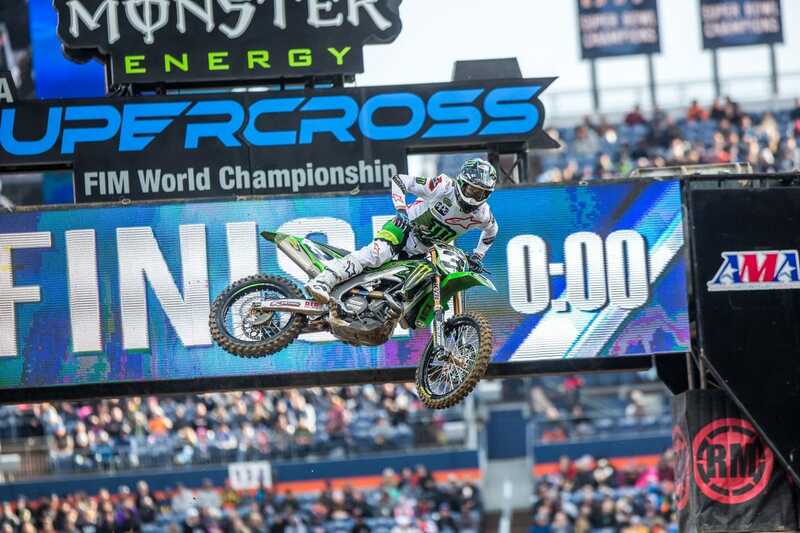 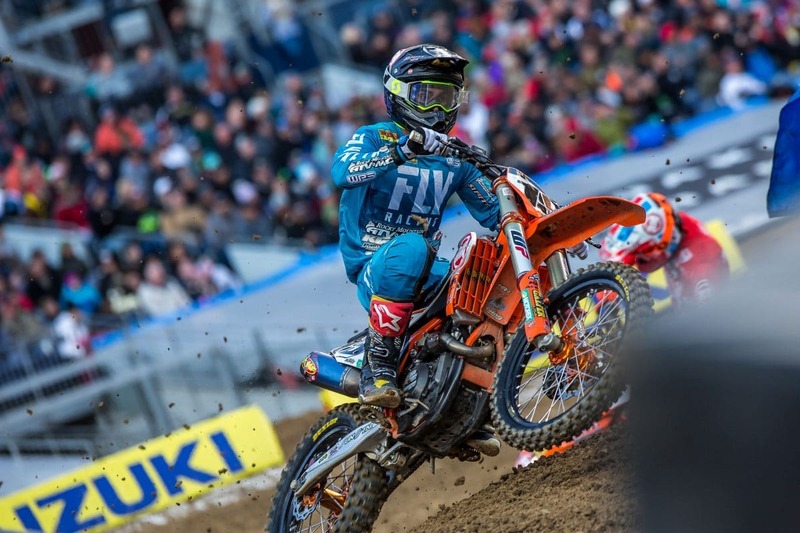 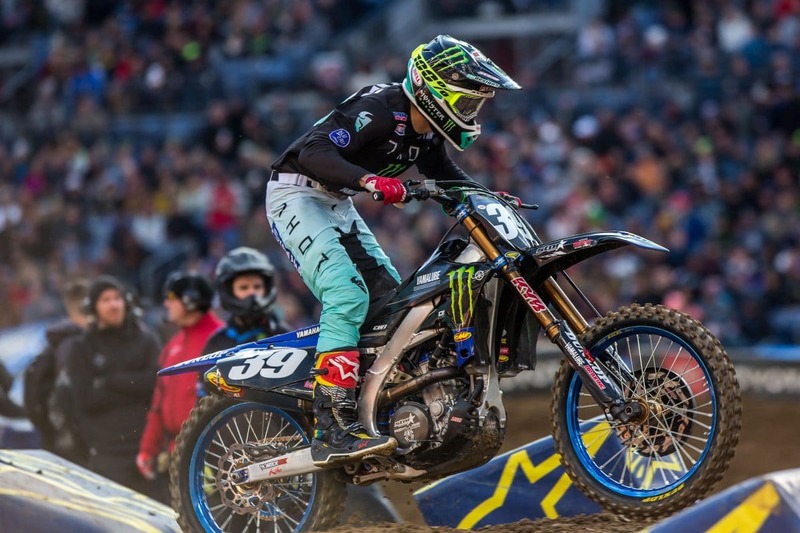 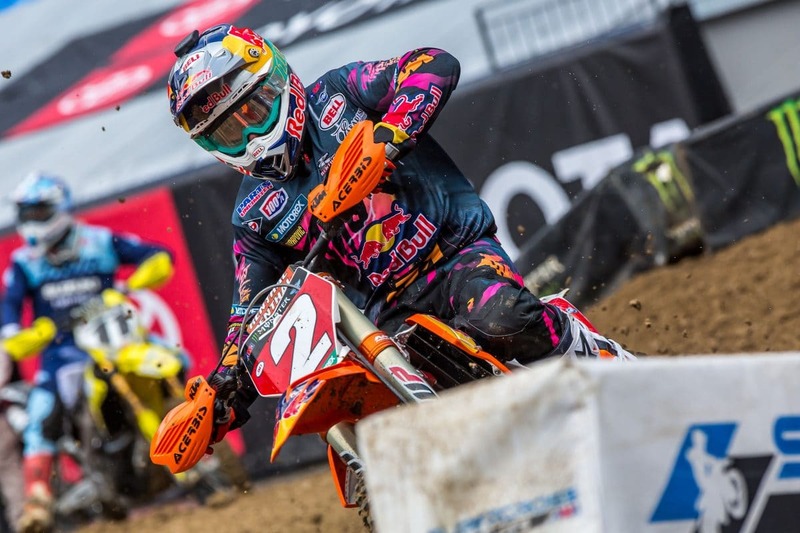 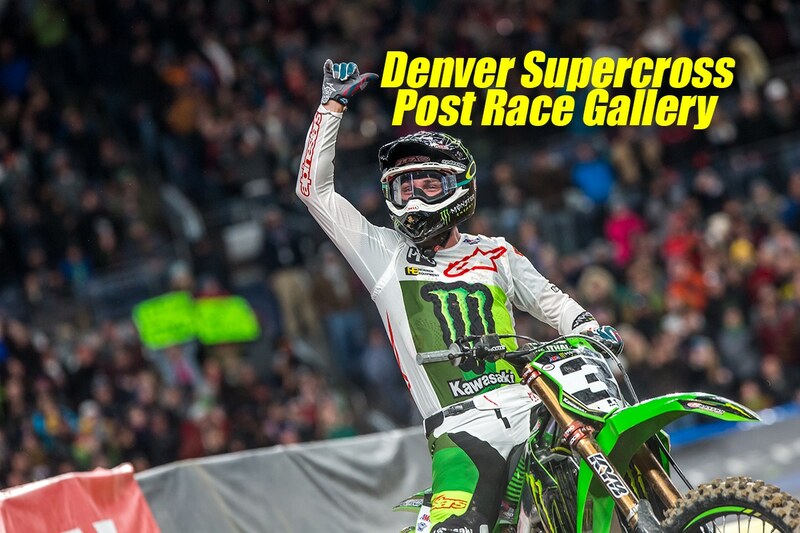 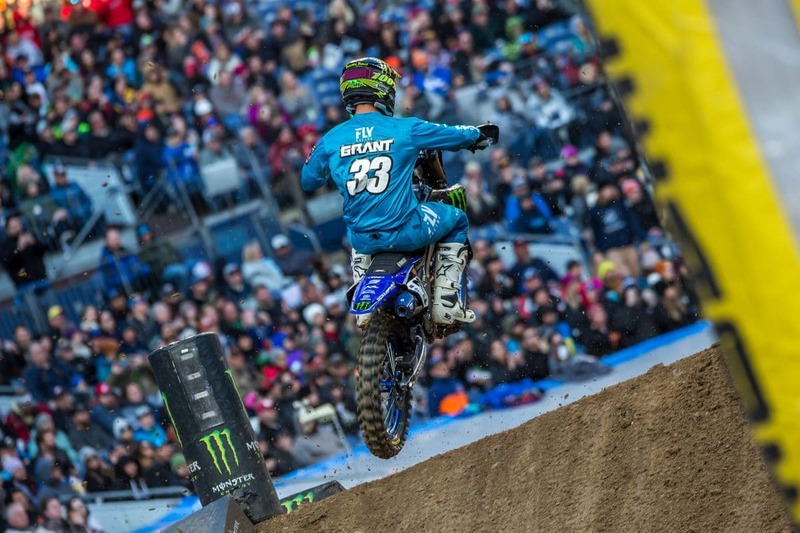 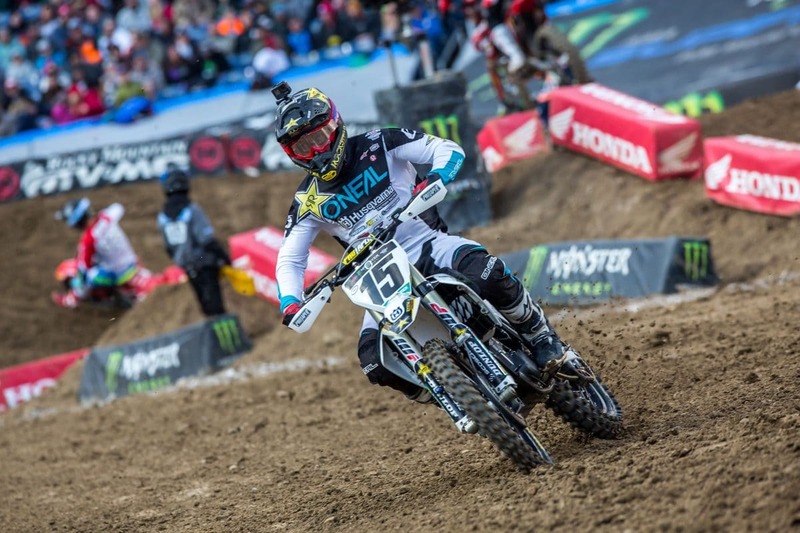 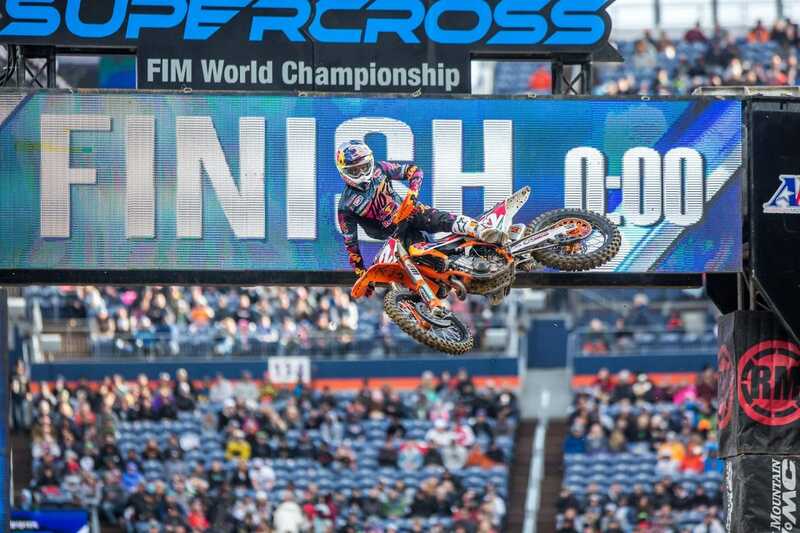 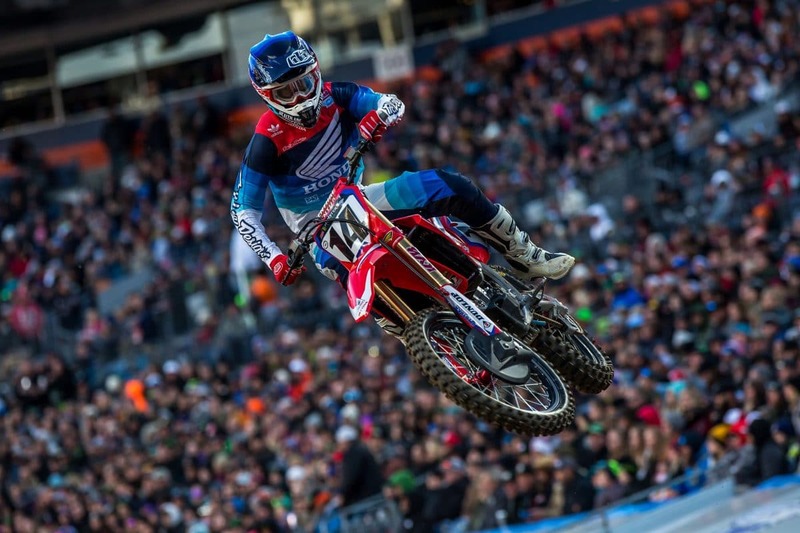 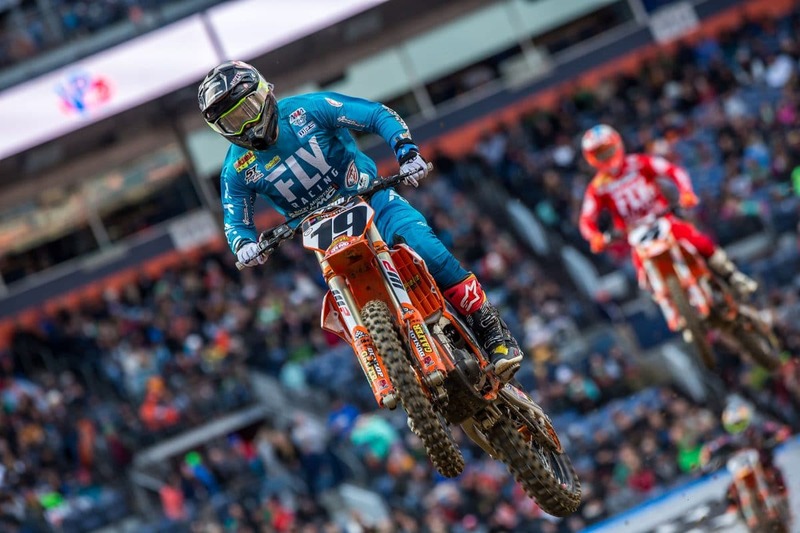 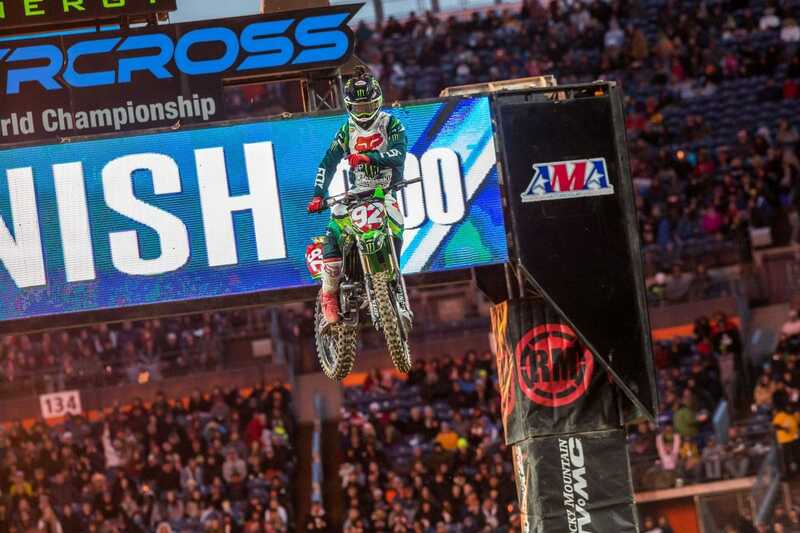 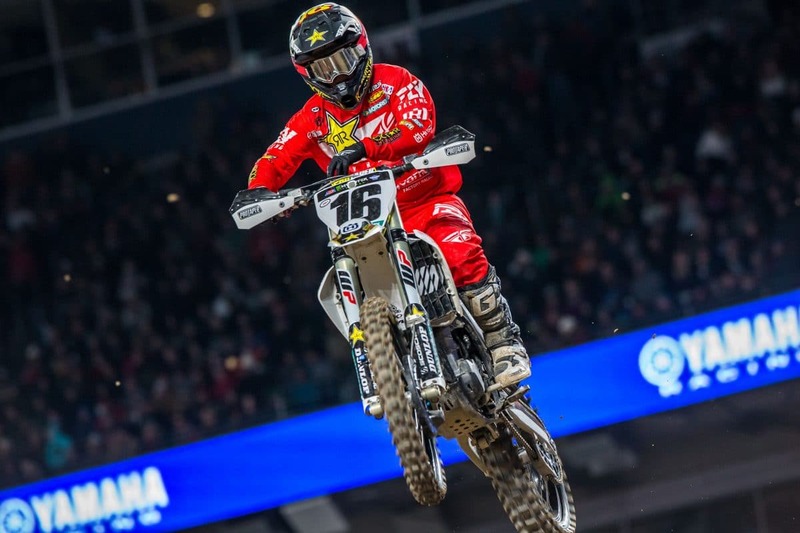 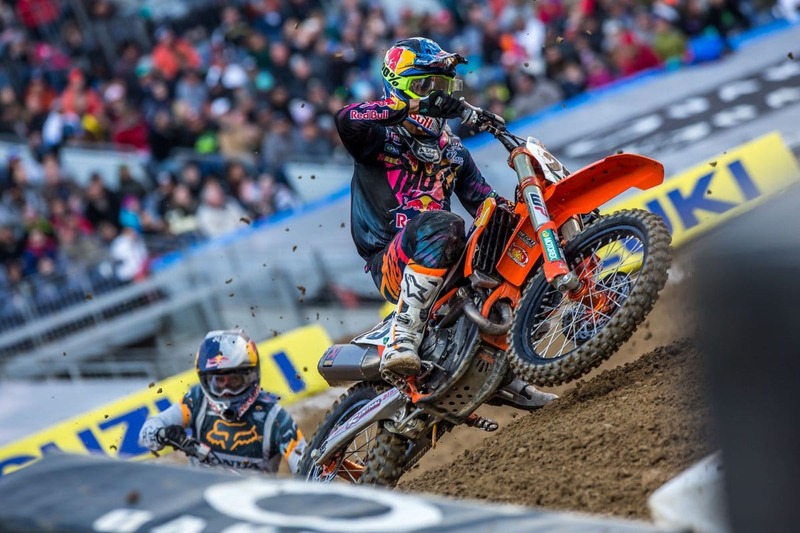 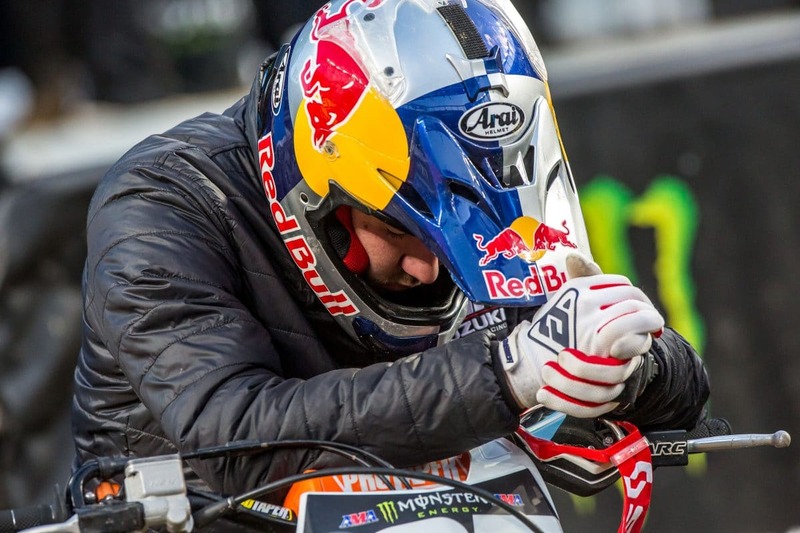 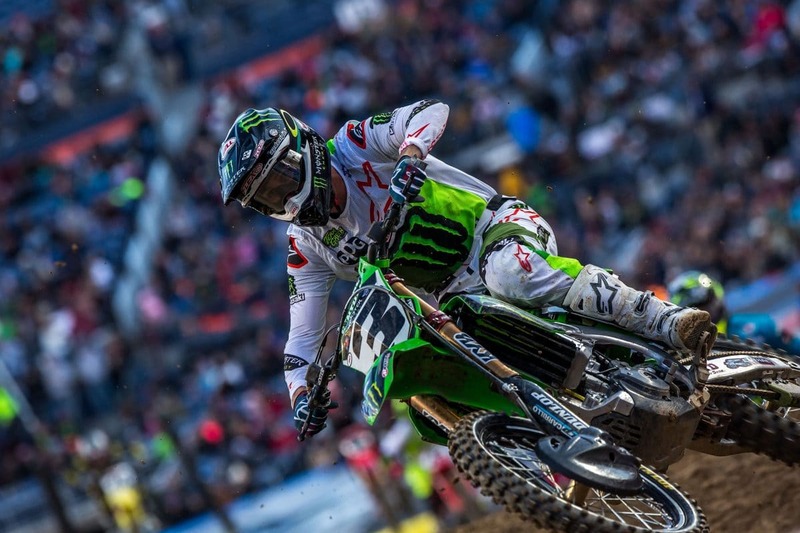 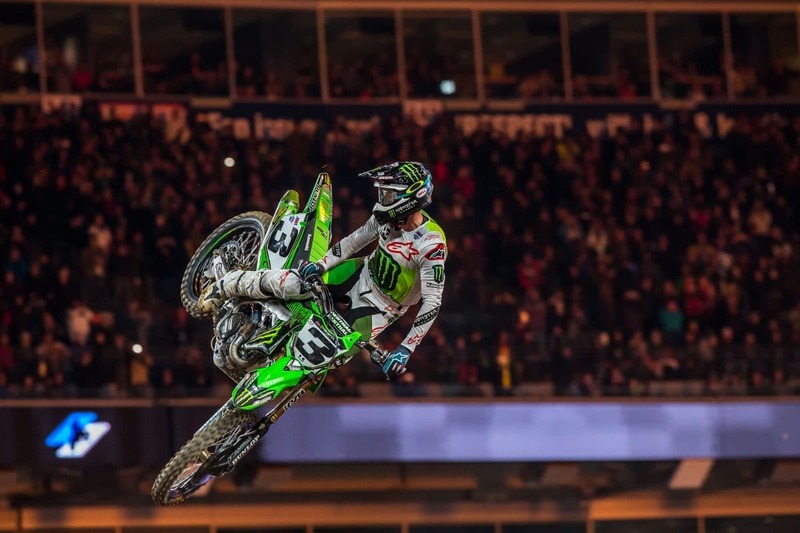 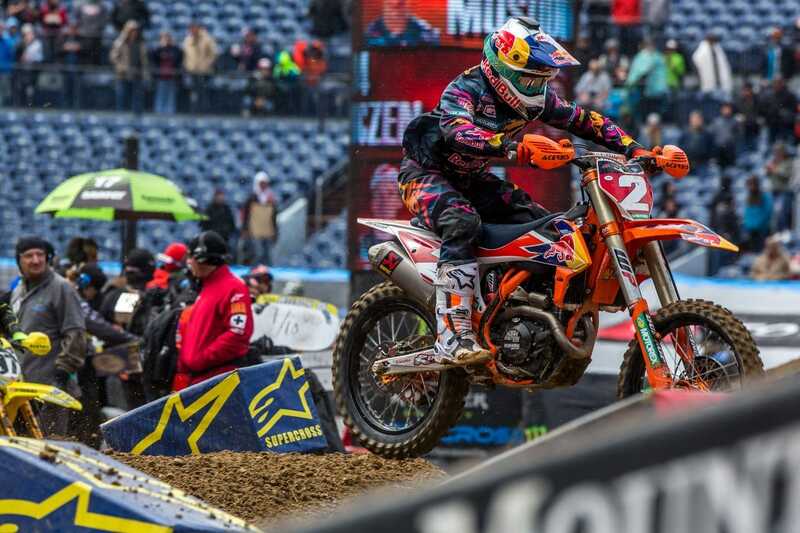 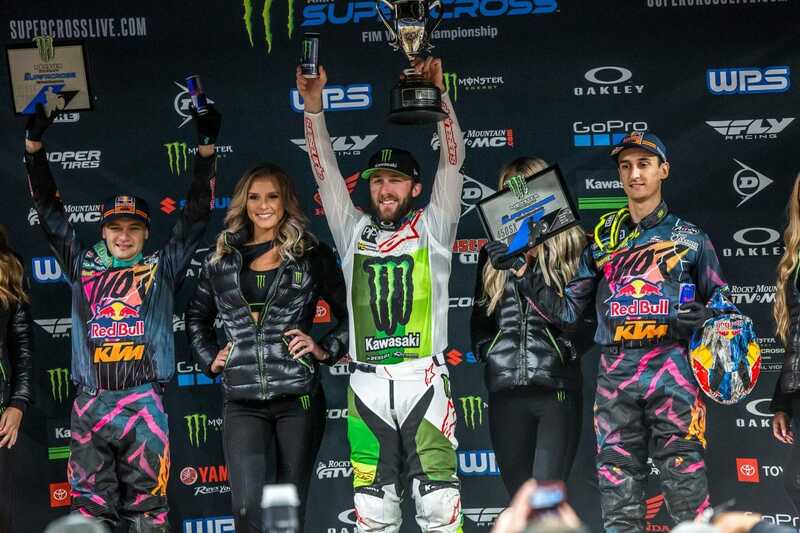 Test rider Robbie Wagmean rode to his best finish of the season in Denver. 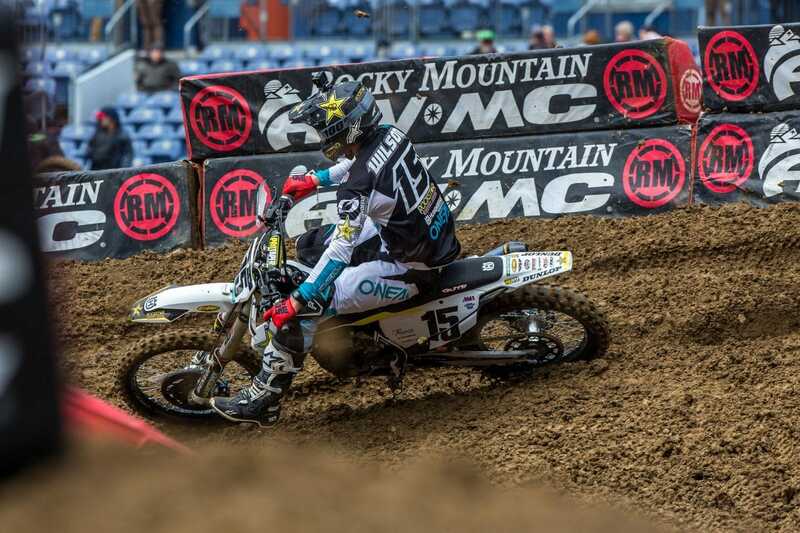 Dean Wilson started the day off solid and unfortunately crashed later in the night program. 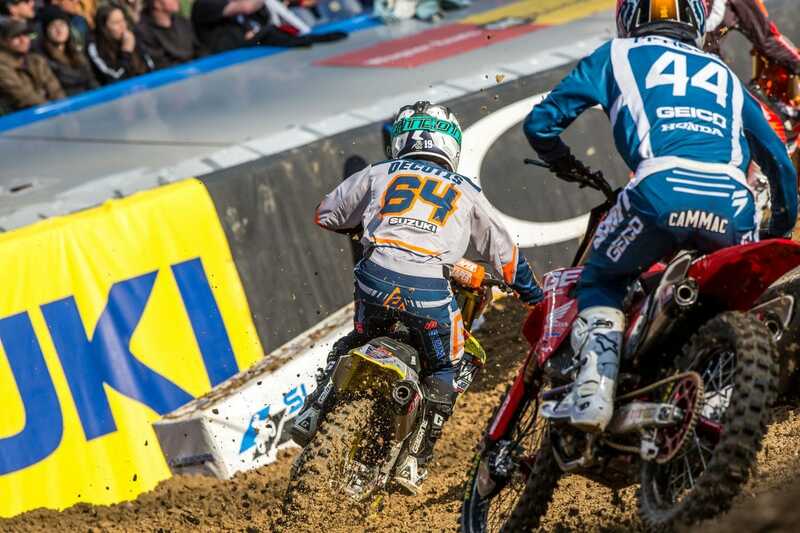 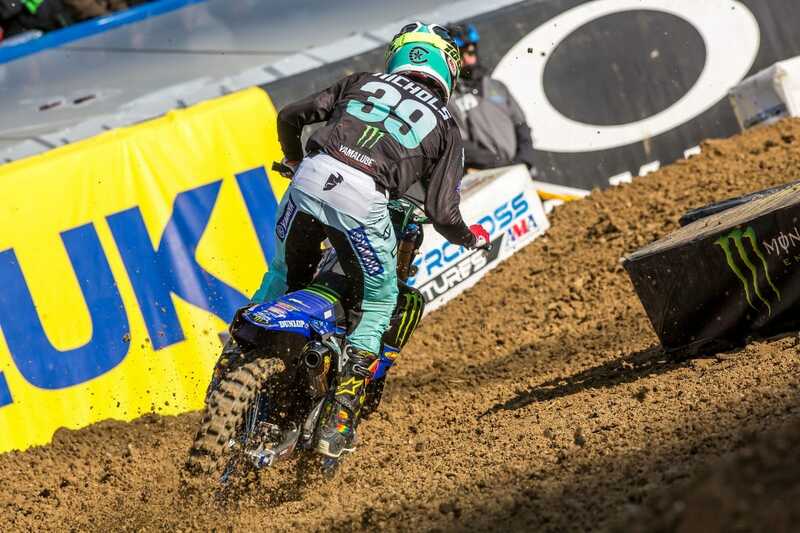 Eli was out front but Cooper was hot on his trail and doing damage control on the points. 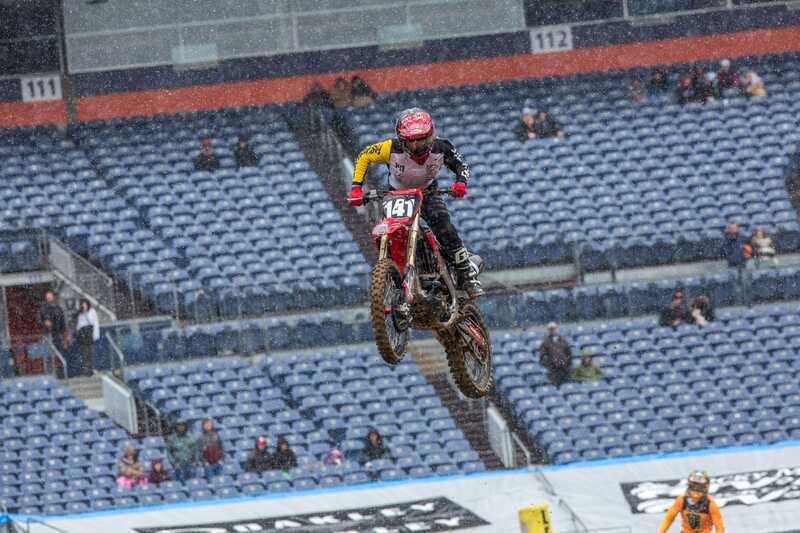 Colt Nichols rounding out the corner before the rhythm lane. 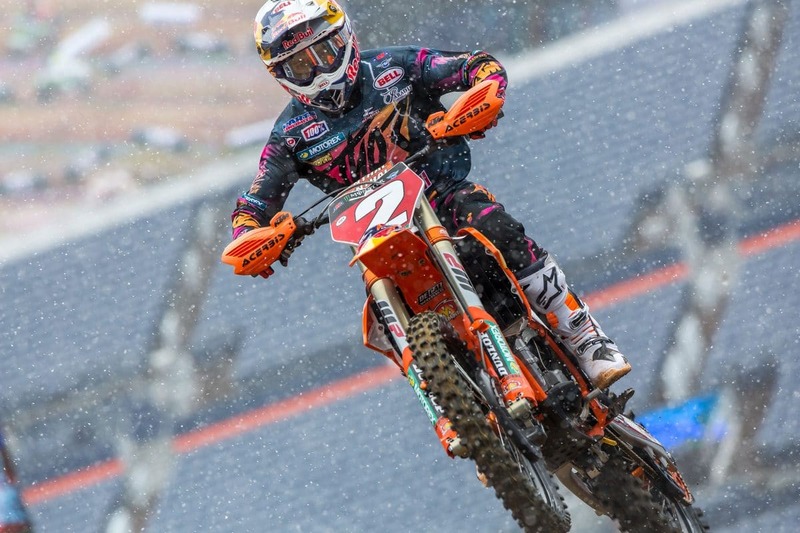 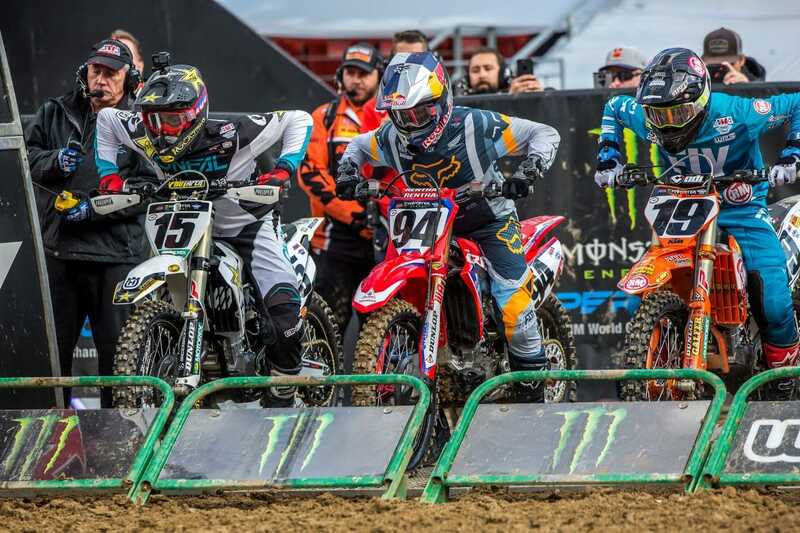 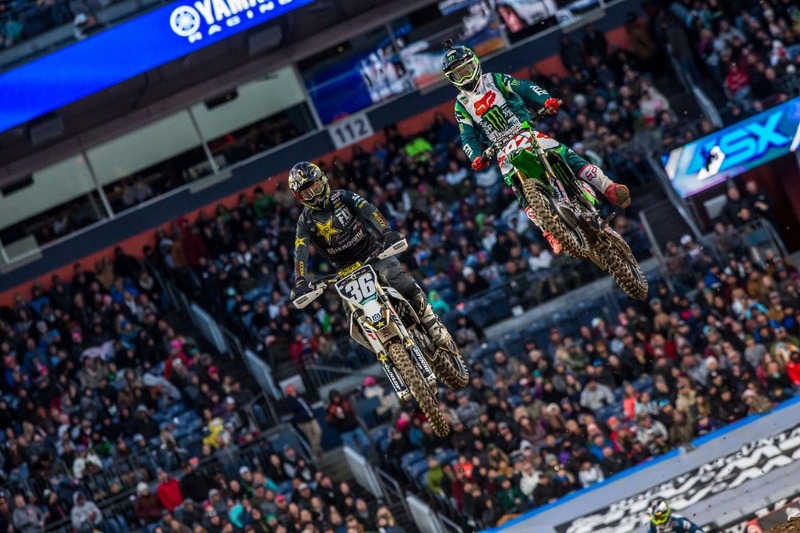 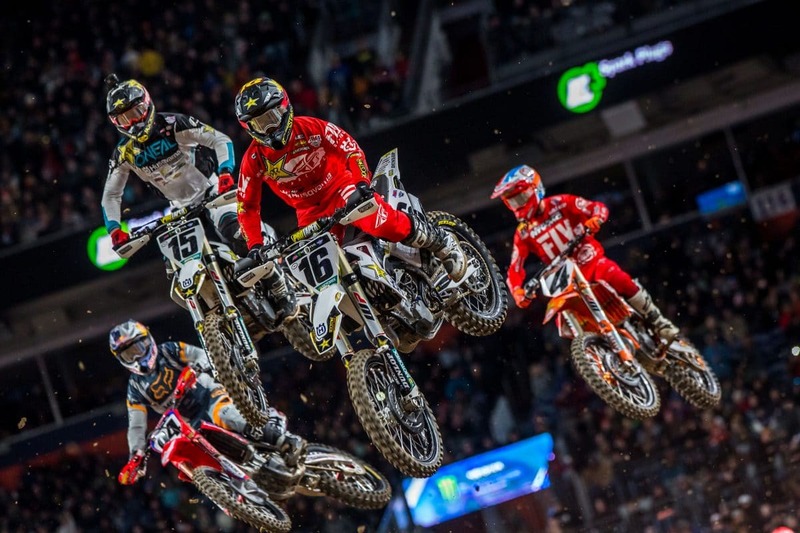 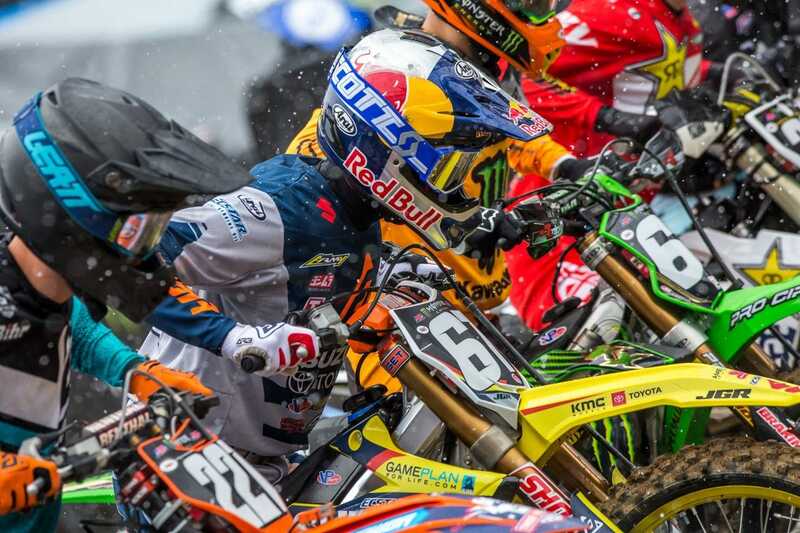 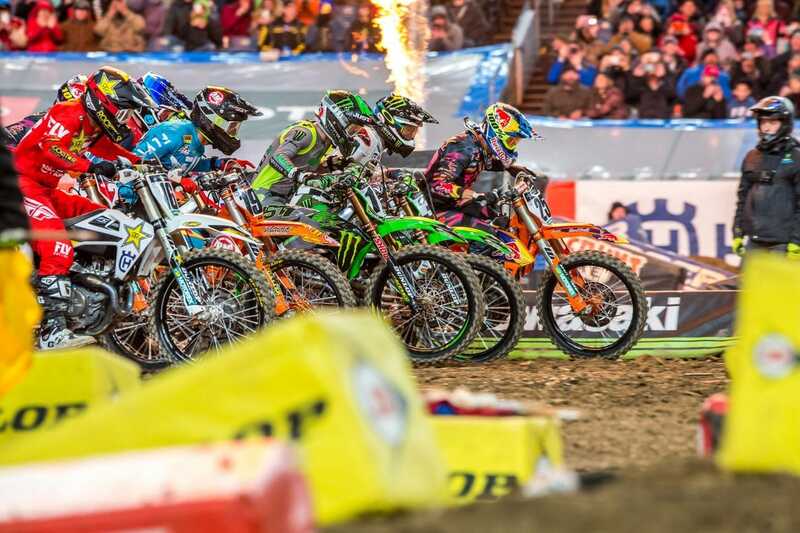 AC had full command of the race in Denver from start to finish. 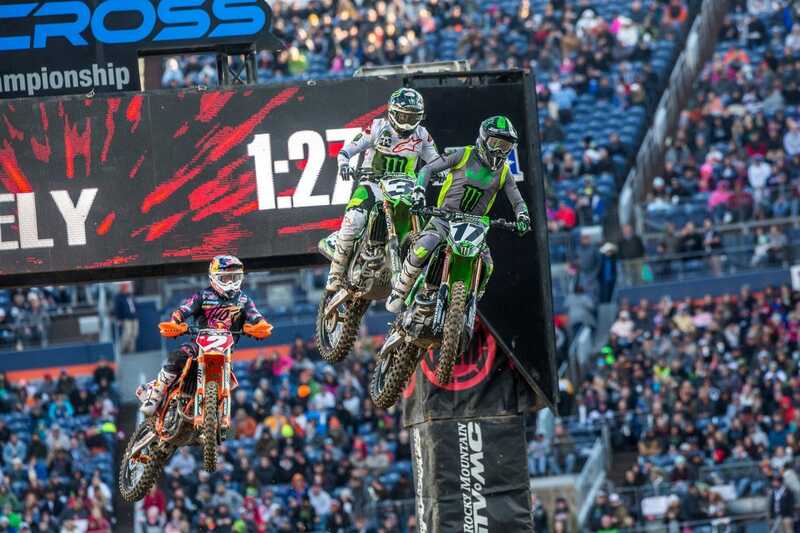 2 Kiwis and and Orange flying through the air. 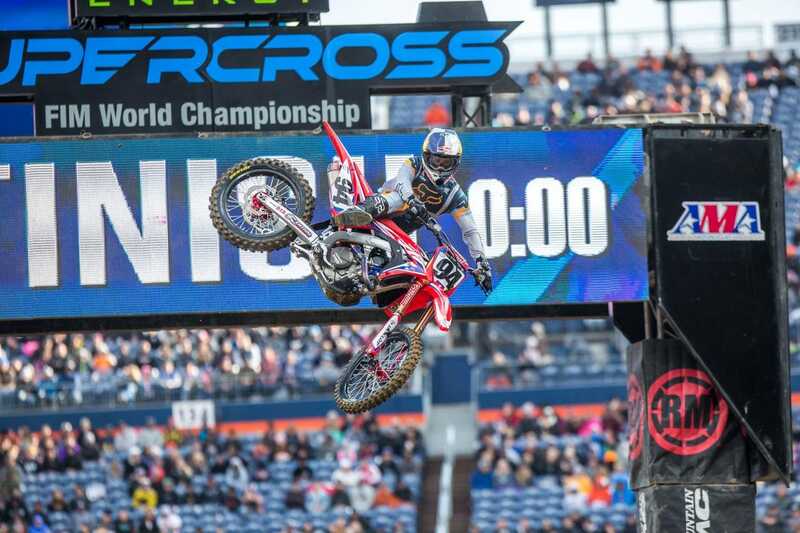 The crowd went nuts for Eli all night.